Designed by Bill Stumpf and Don Chadwick, 1994. 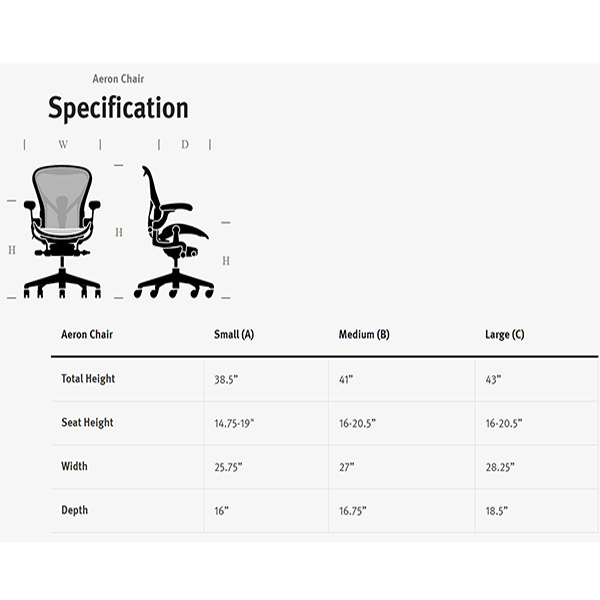 When designers Bill Stumpf and Don Chadwick set out to create a chair that was health-positive, cross-performing, inclusively-sized, and environmentally sensitive, they arrived at a design unlike the world had ever seen. 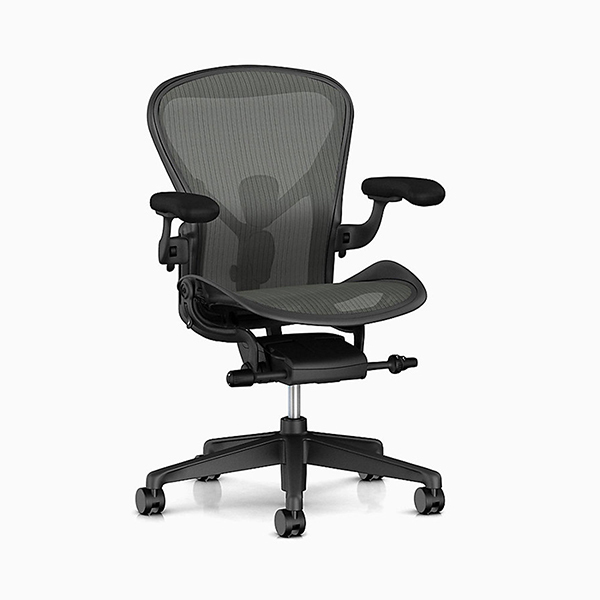 Aeron demonstrated a pioneering step in ergonomics and material innovation, and provided a comfortable solution without the standard use of foam, fabric, or leather. 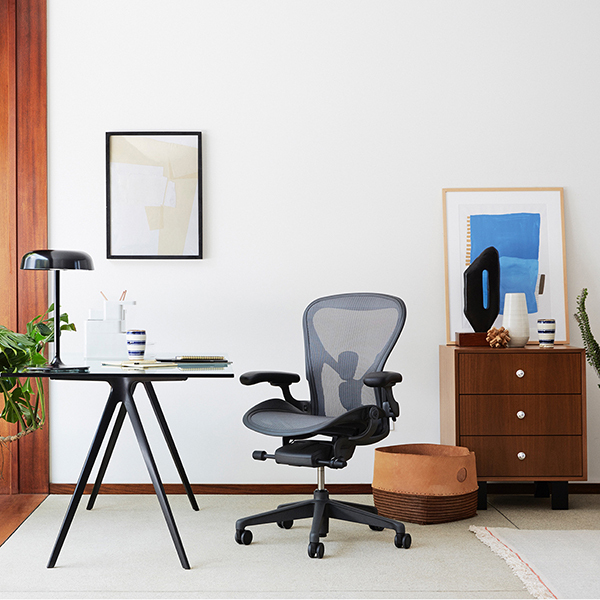 It changed people’s perception of what an office chair could be—and in doing so it soon found a place in popular culture. 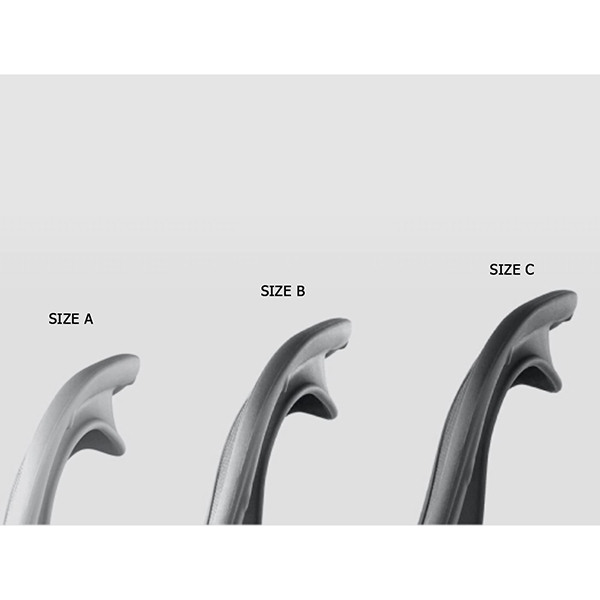 Remastered by Don Chadwick, 2016 Fast forward to the present, and the same criteria serve as the foundation for a remastered Aeron. 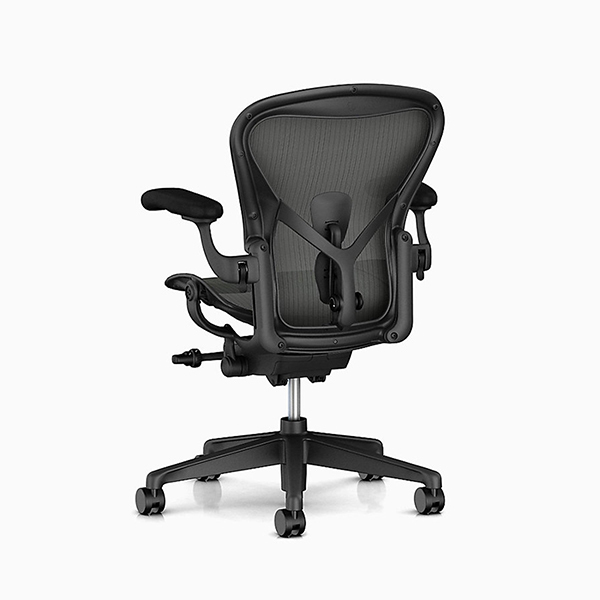 Just as iconic films and albums are updated for new mediums, standards, and audiences, Aeron has been remastered based on Herman Miller’s latest research around the science of sitting, advancements in materials, manufacturing, and technology, and today’s world of work. The office of 1994 would be largely unrecognizable today. 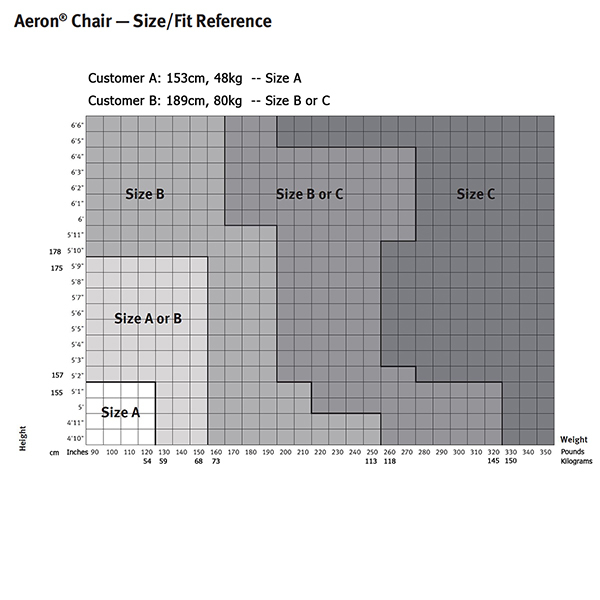 With all the changes that have occurred, it only made sense that Aeron should also change to better meet the needs of today’s work, workers, and workplaces. Little Flare is a versatile table for children which can be personalised as needed: tops of different sizes can be combined and a white top and two with different decorations can be selected. However the feature that makes this piece unique are the hollow and open legs in clear polycarbonate, in which children can put anything – drawings, pencils, games and everything their imagination suggests. Material: legs in standard injection-moulded polycarbonate transparent clear. Tops in MDF with white polymeric cover. Patterned tops also available. Pen holders in ABS. Sketch book available with patterns to be completed and coloured. Magis Me Too logo is stamped on each product of our collection vouching for their originality.